The best Dentists in Mexico, this Dental Tourism Guide was made with the dental tourist in mind. Months of research and web design was put into our website to help you thru journey of going abroad for a dental procedure. Take the time to explore the possibility of savings by establishing a professional relation with some of the best dentists in Mexico. 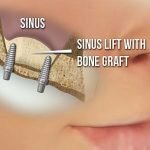 Over the course of this articles, you will learn that there are many different treatments options and treatment price. Going with the cheapest price is not always the best options, there are average price in dentistry. We have made numerous price comparisons from different cities and Dentist in Mexico. There is a broad selection of dentists and cities you can travel in Mexico for your dental work. Finding the most competent, caring and well-equipped Dentist in Mexico within your budget will take a little bit of research! Keep Reading and Explore our Website, we have done most of the research for you! Pass the cursor over the treatment of your interest, for know about of prices. How to Choose The right provider at the right price?, What should I be paying for the service?, Are there Risks Involved? , Safety, Reviews, Locations, Popularity, Credentials? These are some of the questions you are probably asking your self. Our guide is divided into prices sections, treatment sections, and individual clinic profiles. 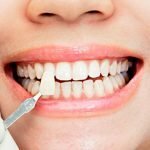 Dental services can often cost hundreds if not thousands of dollars, traveling to Mexico for your dental treatment is a wonderful way to save your hard earn money. Is there a risk? Of course, but if you choose the right provider right clinic this risk can substantially be reduced, and the benefits can be great. 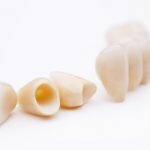 Zirconia Crowns are a great material for full mouth restorations and Molars, It is a very strong ceramic an is not layered so it does not fracture and material can’t chip off. The price ranges from $260 USD to $550 USD. The price mostly depends on the quality of the zirconia (China Vs Germany), The fees of the doctors, and if the crowns are made in-house or sent out. Usually clinics with an in-office lab have a faster turn around and lower price for these treatments. Find Out More regarding getting your zirconia crowns in Mexico. It is estimated that over 100,000 Crowns are done a year in Mexico to Dental tourists. 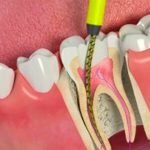 Root Canals in Mexico Range from $180 USD to $450 USD, The price difference depends on what tooth has to get a root canal, Usually Anterior Teeth (Front Teeth) Have a lower cost because they only have 1 canals, Bicuspids are MidRange, and molars are usually the most expensive, Teeth that have gotten previous root canals called re-treatments usually have a higher cost as-well. Some clinics charge per canal, complexity or a set price for everything. 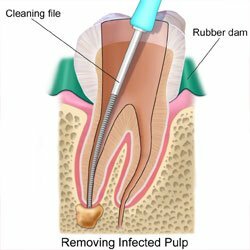 When finding a Dentist in Mexico to do a root canal it’s important to go to a clinic where the root canals are done by a specialist and has all the equipment like 3-D imaging, Endodontic Microscope, etc. Contact Root Canal Specialists in Mexico and find the best endodontist for a lower cost than in U.S or Canada. Dental Implants range from $1100 USD to $2000 USD in Mexico, Depending on the quality of the implant, If it’s placed by a specialist, If a surgical guide is used, What material the restoration is made from, What type of abutment is used. 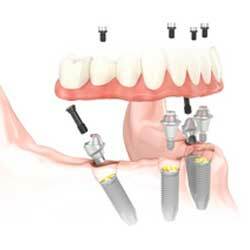 Theses are important factors when choosing your dental implant provider in Mexico. High Quality Implant brands might be one of the Following in Mexico, Nobel Biocare, Straumann, Hiossen, Implant Direct, Zimmer, Biomet, AB Implants, MIS Implants, theses are all relatively good implant, Crown restoration can be made out of zirconia, porcelain, gold, metal fused to porcelain, Composite, This may also vary the price a little. 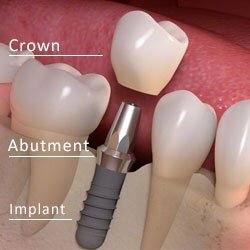 Also The abutment is an important factor is the dentist using a prefabricated one?, Custom Abutment, Cad/Cam Abutment, Zirconia Abutment. It is important to know these terms and what they consist when researching for the best facilities. All on 4 Treatments can vary in Costs Many facilities offer similar treatment but not all on 4. All on 4 is done with Nobel Biocare Implants and is a screw retained restoration, Cement restorations are not all on 4 and are not recommended as they cant be taken off. The average price of dentist in Mexico for an All on 4 Ranges From $7000 USD to 14000 USD, The price mostly depends on the volume of cases the clinic does, if they have an on-site lab and a specialists in house, calling a specialists in or sending the work out elevates the cost. Find a clinic with a specialists in implantation and rehabilitation, that has a 3D CBCT scan, and a On-site lab. Be-wary of small clinics, 1 man operations, facilities without the equipment and technologies as these can be expensive and complicated treatments if done right. Below compare price from clinics and read more about getting you all on 4 dental implants in Mexico. 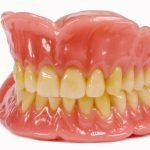 Snap on Dentures can vary in price drastically from each different provider, It all depends on what type of snap on restoration they are offering. 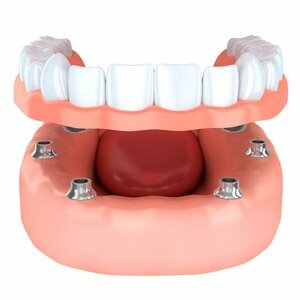 Snap on Dentures can be preformed with either Mini Implants Or Regular Implants, on regular implant you can have either ball abutments, locators, or bar-retained snap on dentures. Understand the difference between what each snap in Denture type and find the best provider at the right price. Prices for snap on dentures in Mexico range from $2500 USD for Mini implants to $7000 USD for regualar implants and a bar-retained snap on denture. Understand which one is best for your case and choose the right provider in Mexico, It is estimated that over 50000 Dentures are made to dental tourist in Mexico a year. View complete Mexico Price List. All treatments comparative from different clinics in Mexico. The dental industry in Mexico is teeming with Life and has had a significant boost from 2009-2017. The highly competitive atmosphere facilitates the institution of highly enticing price cuts in dental services. This is especially true for towns near the united states border. A clear example of this would-be Los Algodones, Just a few Miles away from the state of Arizona. Commonly referred to as Molar City, the little dental town is notorious for having a pro-active group of salesmen representing different dental clinics waiting at the border. These sales bend over backwards offering just about every conceivable dental service calming that their clinic offers the best value for the money. Our Recommendation is to stay away from Hawkers.The race to gather customers and build of roster of loyal clientele is going on in Los Algodones and just about every other town. Because of the potency of the areas as dental profit sector, new dentists are enticed to take their talents to Mexico and brave the odds trying to put up shop only meet stiff competition against the more established dentist or dental facilities in Mexico. 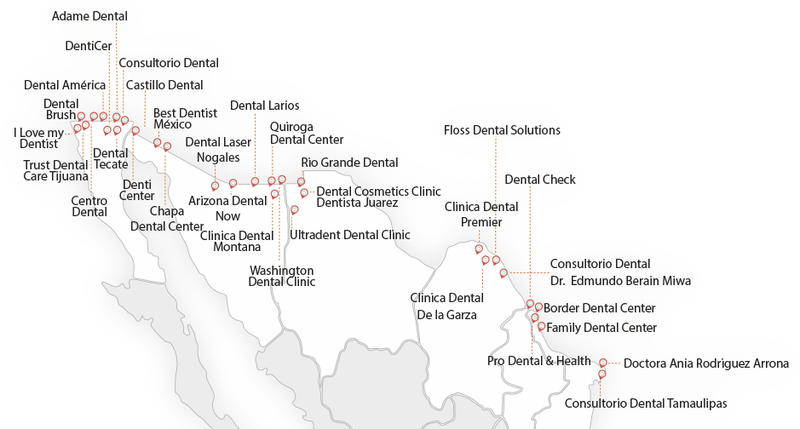 Mexico Border clinics are the most inexpensive way of getting your dental treatment in Mexico, Based on your locations one dental destination might be closer than another. Usually patients from Southern California Head to Tijuana, Rosarito, Los Algondones or Mexicali, Arizona especially Yuma will head to the Famous Molar City. Texas will go to the border towns of cuidad Juarez or Reynosa or take an inexpensive flight to Cancun Mexico. 1. Los Algodones – Most Dentist per Mile in the world, Over 400 Clinics all with in walking distance. 2. Tijuana – Tijuana, Rosarito, Both have a wide selection of multi-diciplinary facilities, with multiple high quality dental clinics. 1. Cancun – High Quality Treatment Destination, some of the best dental clinics located in Mexico are here. 5. Mexico City – Some of the best Dentist in Mexico, Thousands of Clinics, we have listed some of the best. The idea of dental tourism is one that has spanned several decades. From an account of a doctor who settled in Los Algodones in the late 1960’s, one can get a clear demographic of how the dusty border town’s primary business transition from serving bitter cervezas to treating cavities. According to his story, Los Algodones did not look to promising for a dentist looking to put up shop at that time. Nevertheless, he pushed through, because he knew he was one of two dentists within a few hundred square kilometers.Fortunately, the Mayor of Los Algodones in the mid 1970’s had a vision to transform the town in to a dental service hub. Resources were invested in tapping the American market through advertising high quality dental treatment in Mexico. Soon enough, the affordability of dental tourism in Mexico tickled the curiosity of Americans. Dentists saw the opportunity to establish their practice for decades to come and thus began moving into Los Algodones. Space became a scarce commodity and the mayor eventually had to shut down the cantinas and brothels in favor of commercial spaces for the establishment of dental clinics.The multitude of facilities and world class standard of customer care from dental clinics that are so eager to serve were too good to resist as far as American clients were concerned. The industry of dental tourism in Mexico began by catering to American senior citizens who no longer had a steady source of income to pay for expensive services. Next came the residents of American border towns who became aware of the stark difference in the cost of a Mexican dentist. In the end, just about every penny pinching individual is choosing Mexican dental services.At present, people from all walks of life are contributing to the hyper active dental tourist landscape in Mexico. Everyone seems to want to become a part of such a viable profit sectors. Businessmen in border towns have ventured into the construction of multi-level parking lots for American travelers who simply want to park their car and walk across the border. 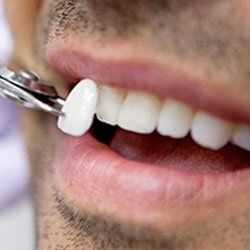 At the center of it all are the dentists, offering the most competitive prices and their corresponding clients seeking the best deals for dental services. All of these phenomena contribute to the upkeep of the most stable dental tourist environment in the Americas. Competitive Dental SectorPerhaps the biggest cause for concern as far as potential dental tourists are concerned is the glaring disparity in cost of dental services in the United States and Mexico. The difference is so glaring that it may seem surreal for the overly cautious. In truth, the low cost of services can be attributed to two reasons: a low overhead cost and a competitive environment.The practice of dentistry is not as stringently regulated in Mexico compared to the United States. In the US, dentists have to spend hundreds of dollars in licensure fees. This is coupled with exorbitant rental fees for commercial spaces to set up clinics which go as high as thousands of dollars each year. This redounds to American dentists jacking up the price of their services in order to offset the high operating cost. The same cannot be said for dentists in Mexico who practice in an area where space is a commodity.A competitive environment is arguably the main reason why the cost of dental services in Mexico is kept to a bare minimum. So many dentists abound offering the same list of services to potential clients. The only way to get an edge in the competition and build a roster of loyal clientele is by reducing the price. 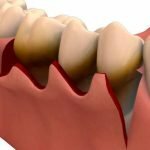 In the town of Los Algodones, it is a common experience to have another dental clinic offer you the same procedure for around ten dollars less just as you have come to a deal with a competing clinic. 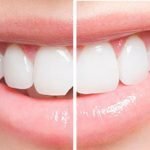 Because of the nature of dental services wherein much of what you pay for comes in the form of labor, dentists in Mexico are willing to offer one discount after another just to keep a client coming back.Easy TravelAnother possible concern for the typical dental tourist is the cost and convenience of traveling to Mexico. Many are convinced that it is quite possible that the cost of transportation and accommodations far offset the discounts offered by Mexican dental clinics. This is hardly the case. Due to discounts in services going as high as 60 to 70 percent, those who choose to try out dental tourism in Mexico still manage several hundred dollars in savings despite having to pay for airfare and accommodations.Land transportation is not a problem either with the Greyhound bus company offering their Americanos service in many states. This is a popular and affordable way of securing a direct trip to Mexico. For those choosing to drive their own cars, the government of Mexico is presently eager to facilitate the success of the booming medical industry. Speed lanes have been created at the border crossings near popular dental tourism destinations such as the town of Mexicali. Instead of taking a couple of hours in the heat of the sun waiting for a chance to cross the border, dental tourists now have access to the special dental tourism lanes. This allows dental tourists to seek treatment in Mexico after spending a mere 20 minutes to cross the border. 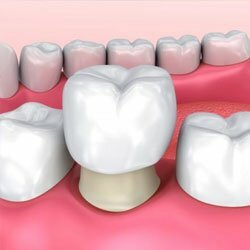 The ease of access has been made possible through the promulgation of a uniform pass which the tourist will secure from his dentist to avoid any possible delays.Integration into Dental Insurance PoliciesDental insurance policies will not be compromised should a patient seek treatment in Mexico. Many large scale insurance companies in the United States are collaborating with established dental practitioners in Mexico in order to be able to offer their clients the best rates possible and reduce the cost of their coverage. Insurance companies want to be able to maximize their profits by minimizing on claim payouts, reducing overhead costs and keeping their revolving fund invested in high earning securities. In order to achieve this, many insurance companies are siphoning their policy holders to partner Mexican clinics. For the policy holder, this creates a potential vacation for some rest and relaxation while paying a lower participation fee.Continuous and Accessible CareThrough dental tourism in Mexico, it is quite possible to establish a lifetime relationship with a dentist who has stellar command of the English Language to understand your needs. They posses not only procedural and medical knowledge but excellent communication skills as well. At the heart of the dental tourism industry is the practitioner penchant for continuing care and first class service. Contact information regarding the clinic as well as the personal cell phone numbers of the doctor are readily available. In the unlikely event that a patient experiences some discomfort after a procedure, the doctor will promptly reply and address any concern. Observing WarrantiesOne distinct facet of the concept of continuing and accessible care in the Mexican dental industry is that of warranties. Dental service providers place great premium on their reputations. None of them wish to become fly by night companies with tainted reputations. To boost their credibility even further, such dental service providers offer almost all of their services under warranty. 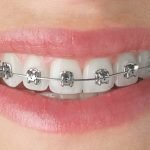 To cite a few examples, the installation of braces and root filling treatment typically come with two year warranties. On the other hand, typically fragile treatments such as bone graft medication, gum surgery and tooth inlay still come with a one year warranty. Cosmetic treatments such as teeth whitening or the casting of dentures have extended warranties going as long as three and five years respectively.In choosing your dentist, meticulously compare the length of the warranties that his clinic has to offer with the prevalent standard. This will allow you to gauge the clinic’s reliability. For a list of usual lenght of warranties take a look at here.Looking for AccreditationAs with any delicate service, customers tend to gravitate towards providers which have been tried and tested. In canvassing your dental clinic of choice in Mexico, make sure to seek out clinics which have been accredited by the Asociacion Dental Mexicana (ADM) or the American Dental Association (ADA). These clinics offer the highest standards of care and carry minimal risk of folding. While these clinics may cost slightly more, than upstart clinics making hard sales pitches, spending a few dollars in exchange for dependability is a good investment.Ongoing membership with both the ADM and the ADA assures the client that the practitioner fully complies with mandatory continued dental education and refurbishing of service equipment.Avoiding HawkersDental service hawkers are now a common sight near the border. These are usually agents hired by unestablished dental clinics seeking to build a roster of loyal clientele by making a hard sell to cash strapped customers. “Barkers”, as they are commonly referred to, often attempt to outdo one another by offering one sweet deal after another. For a typical person who is not privy to the dental tourism industry, the lowest price might make the most sense. As a general rule however, nothing compares to conducting personal research and seeking out the dental clinic that is the best fit for your budget and security needs. Dental ResortsPerhaps the most prominent factor which draws customers to subscribe to dental tourism is the potential for a vacation. For an individual seeking treatment in Mexico, the decision as to whether or not vacation time will be pursued arises. Typically, those seeking more comprehensive treatment simultaneously take intended vacations in Mexico. This can be done at the various dental resorts which offer top tier accommodations and recreational facilities which rival expensive five star hotels. These resorts are conveniently the location of several dental clinics. Patrons are afforded the chance to sit back and relax while waiting for their turn at the dentist’s chair. To pick the best location for your dental departure check the list of our partners on this page mexico dental accoomdation or check the links on the bottom of the page.TransportationEnjoying the sights and attractions of Mexico necessitate a convenient means of getting around. For those intending to bring a car, it is important to note that American car insurance is not valid in Mexico. This has to be arranged over the internet with your insurance company for an affordable premium of around $10 per day. Alternatively, those who wish to save on gasoline and insurance companies can park on the US side and take Mexico’s reliable bus system.There is always and option to use car rentals, especially if you fly in by plain and want to have freedom of traveling and exploring the country use the Mexico car rental services list.The government of Mexico has recently directed their efforts into creating a pollution free environment that is conducive for the gallivanting of dental tourists. A new eco bike system has been instituted as of early 2012 which will significantly reduce traffic congestion and facilitate the efficiency of the bus system. 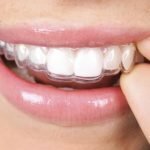 The ultimate goal is to turn Mexico into an oasis for dental care seekers and offer a warm respite to draw vacationers away from the hustle and bustle of urban life.In sum, the continued development of the dental tourism industry in Mexico has continued to expand its horizons to an unprecedented extent. Dental services are quick to rival those provided by the most expensive hospitals in the United States due to the dynamic nature of the industry. Establish a relationship with a Dentist in Mexico today and set yourself up for a lifetime of quality dental care and hundreds of dollars in savings. If you like this site, please help us share it with your friends trigger action.